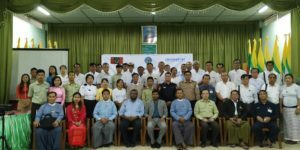 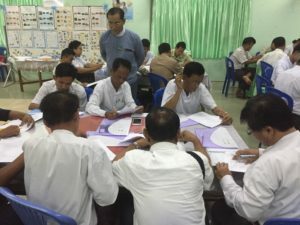 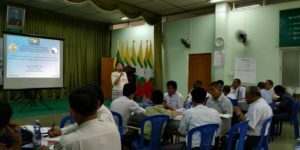 Under ECHO funded program “Building Resilience: Actions for Strengthened Institutions, Communities and Systems in Myanmar”, UN-Habitat, member of Myanmar Consortium for Community Resilience (MCCR), is conducting 5 days (17-21 September 2018) training on ” Basic Disaster Management Course” to township disaster management committee members and other relevant officials from Mingalar Taung Nyut townships. This 5 days training is conducted to enhance the understanding of government officials on basic concepts of disaster risk reduction & management and equip them with tools to apply DRR/DRM measures in their sector work which will help to build the resilient communities. 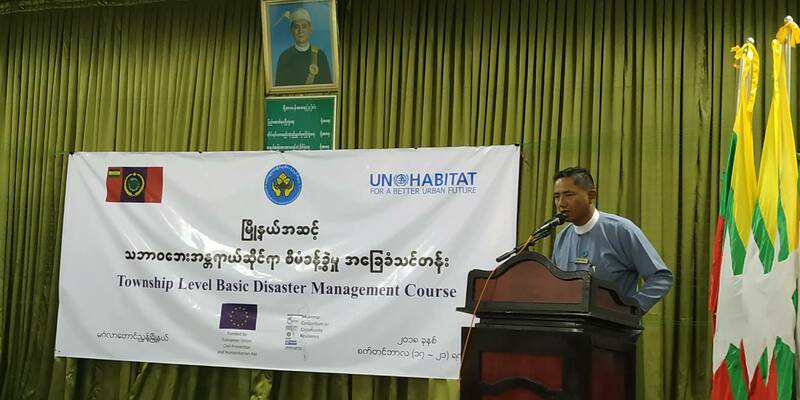 This training will also pave the foundation for the development of Earthqake specific Contingency Plan which will be undertaken by the township with the technical support from UN-Habitat within this project. 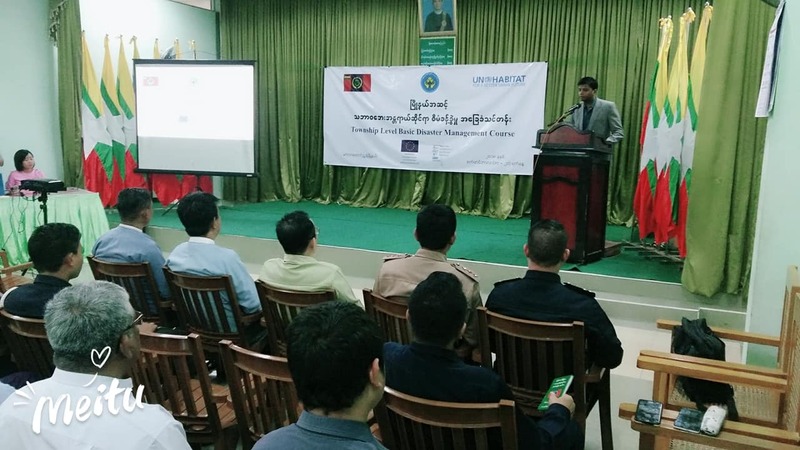 Opening Ceremony was conducted in GAD office hall where opening remarks was delivered by U Win Shwe, Director, Department of Disaster Management. He spoke that Disaster Risk Reduction/ Management is responsible for not only one department, and also every department to be collaborated in all works of disaster management cycle including mitigation, preparedness, response and recovery activities. Mr.Shashank Mishra, Disaster Risk Reduction, Programme Manager of UN-Habitat gave the welcoming remark. 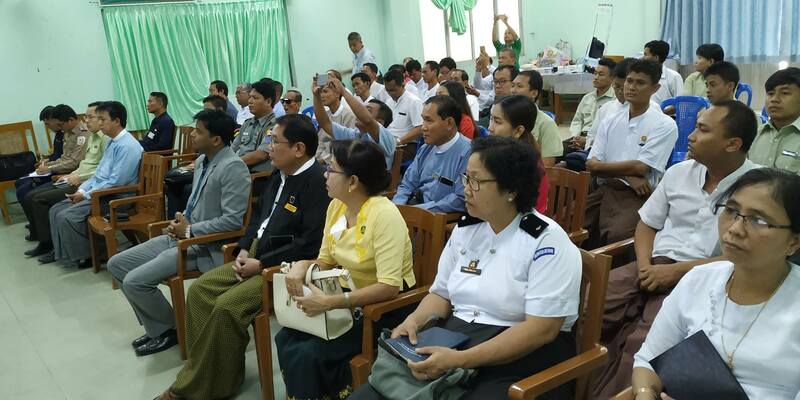 In his remarks, he talks about the need of improved understanding of disaster risk management issues among government officials in order to save lives and reduce economic losses in an unfortunate event of earthquake. A total of 35 participants from Township Disaster Management Committee Members, Ward Administers and some CSO representatives are participating in the training.